← Win-win or win-lose, which is it? 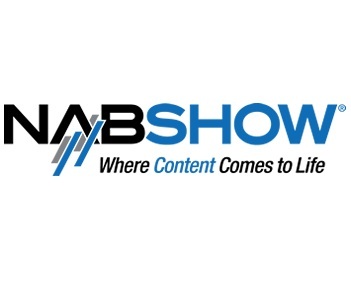 I don’t get to a lot of trade shows anymore (I guess good for me), and I had the opportunity to attend the National Association of Broadcasters (NAB) Show in Las Vegas last week. This is a very large show. So, as you would expect, the vast majority of exhibitors are unknown or lightly known companies. It continues to amaze me what people don’t do with the exhibit booths to attract visitors. Almost none of the exhibitors made it easy (or even possible in too many cases) for you to know what they offered that you might be interested in while walking by their booth. They spent a fortune on a booth and a huge sign with their name on it. Somebody must have convinced them that name recognition was key. Silly. At a trade show the key is to attract visitors to your booth. If you are Adobe you can simply put your name on your booth and you will have hundreds of people in your booth at all times (and they did). However, if you are not well-known, putting your name up on a big sign will not help you get known because what reason do I have to want to know more about your company? I watched thousands of people walk by booth after booth, glance, be confused, and move on. Those few booths that allowed you to know what they did that might interest you, had traffic, as did the well-known companies. I would have thought by this time people would know this, but I suspect trade show experts from the 1950s probably said the same thing in the 1990s. The good news is you can still stand out in the crowd even at a large show like NAB if you focus on the visitor and not on yourself. This entry was posted in trade shows and tagged increasing trade show traffic, National Association of Broadcasters, trade show booth traffic, trade show booth visitors, trade show marketing, trade show ROI, trade shows. Bookmark the permalink. I read your blog.very nice information.Good Luck for your business.